This board is replaced by Honeywell ST9120U1011 Universal Control Board. 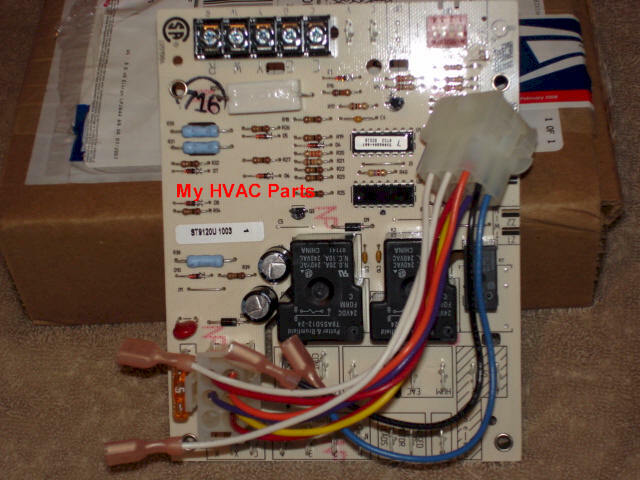 This photo is what the old board looked like but it is obsolete and replaced by the Universal Control Board by Honeywell. As used in Comfortmaker, Tempstar, Heil Model HQ 1010031HW, NTGS100HJA1 and others. See full list at bottom of this page. 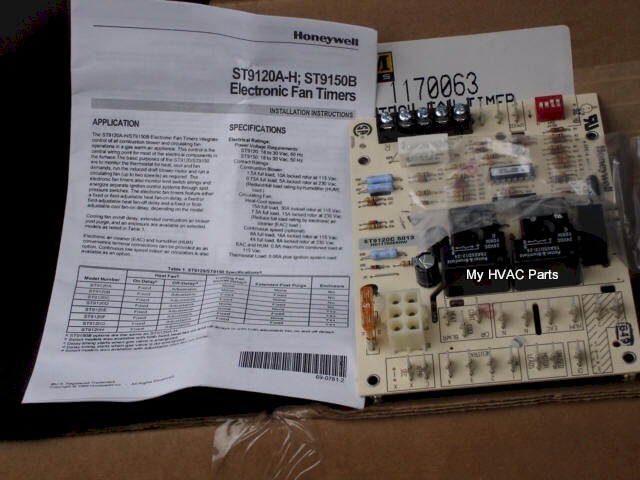 Honeywell has replaced all their ST9120 series control boards with this universal control board kit, which has wiring harnesess to be used with the furnace you are working on. Instructions included from Honeywell. None of their old ST9120 series boards are available, so this kit is the only one you can use.